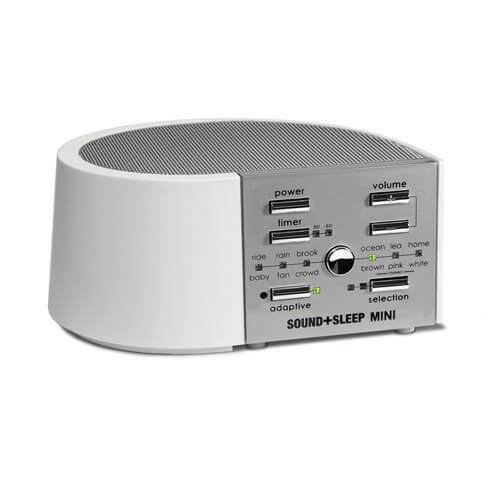 SOUND+SLEEP MINI is a sleep therapy system that helps you sleep better. 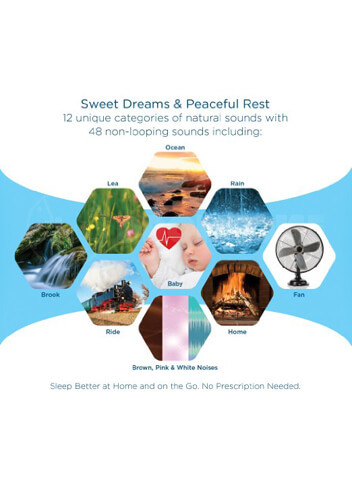 It offers 12 unique categories of natural sounds with 48 non-looping sounds engineered to promote deeper sleep and relaxation. Some of the Sound Stories include Ocean, Rain, Brook, Fireplace, Meadow, and Waterfalls. The MINI also includes 4 fan sounds & 12 white/pink/brown noises. 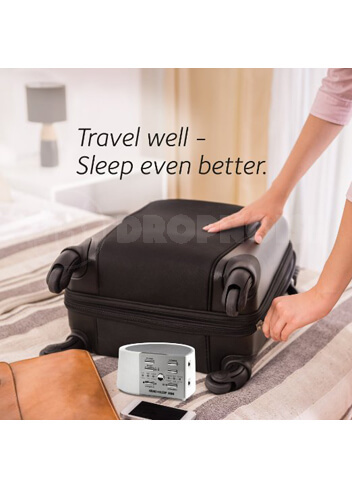 The MINI is able to run from AC, USB, or battery power. The product is small and light so makes for the perfect travel companion. Also with the line input jack the MINI can play music or audio from your laptop, tablet, smartphone, or MP3 player. Sleep Better. No Prescription Necessary. 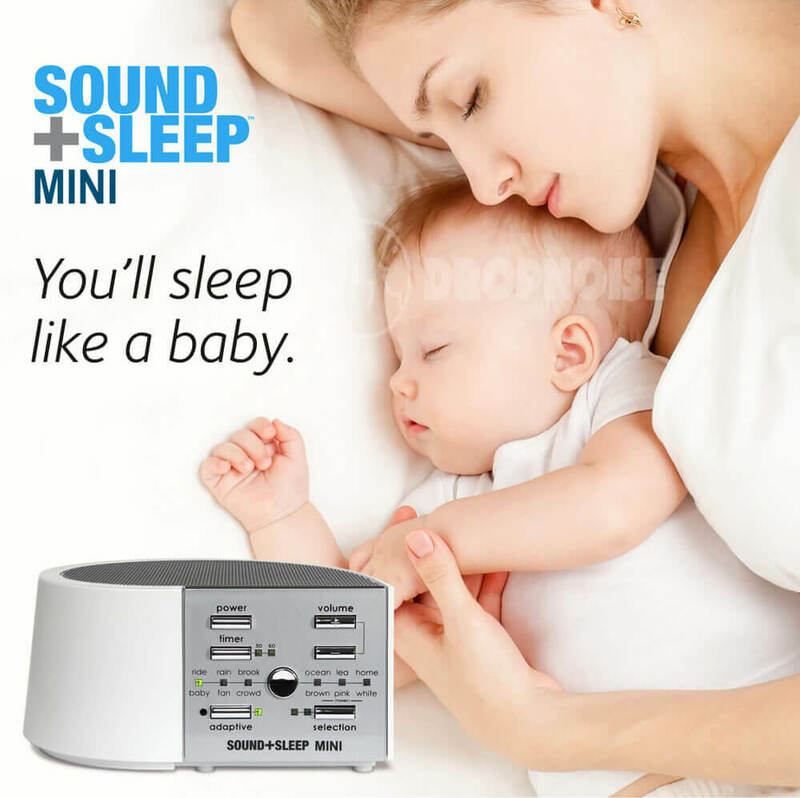 The SOUND+SLEEP MINI redefines the science of sleep. Patented Adaptive Sound technology has the ability to continuously and automatically “listen” to your background for unwanted and disruptive ambient noise. in less than a tenth of a second, the MINI responds to intrusive noises by remixing sound profiles and adjusting volume to neutralize outside sounds. 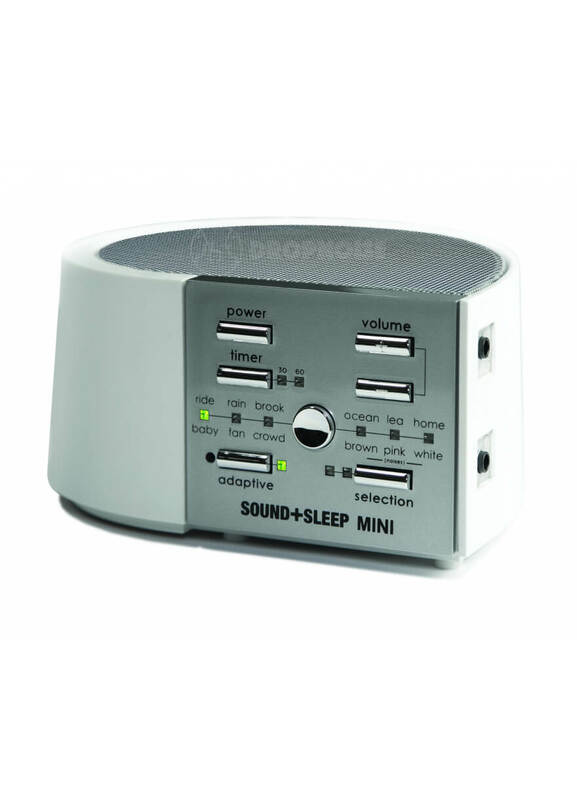 I like how stylish this mini compact system is, I can take it when I travel or just move it to any room where needed to help provide a sense of renewal with relaxation and/or deeper sleep. This little sound machine is great! I live in a condo and oftentimes my neighbors get a little loud in the middle of the night. I love that the machine automatically picks up outside noise and adjusts its volume automatically to help muffle the noise! I have not been awakened in the middle of the night by my neighbors since I started using the machine!! It’s small enough to fit in your suitcase when traveling as well. Great buy!! i am used to sound machines that really sound like something. like the ocean, or a brook, etc. the sounds here, on this very expensive machine pretty much bleed together and end up sounding like white noise. i tried all of them with all the adaptations and they all sounded the same after awhile. except “crowd” but who wants to listen to a bunch of people talking or the roar of a stadium crowd? hunting now fir a nice ocean machine with waves that ebb and flow. but everything is computerized…sigh….